The mission of Continuum Care Hospice is to provide comprehensive coordinated care for persons with life-limiting illness so they may live as fully and comfortably as possible until the end of life and offer contiued support to the bereaved. The goal of hospice is to provide palliative care that addresses the physical, psychosocial, emotional, and spiritual dimensions of service for the terminally ill as an integrated whole. 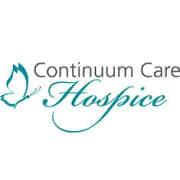 Continuum Care Hospice is guided by the principals of responsive care, teamwork, leadership and stewardship. Care to the patient and caregivers will enable those served to experience death with grace and dignity. Would you recommend Continuum Care Hospice?